Nikola Nikita Jeremic's track "Detached" from Elephant Music album "Moros Black" is featured in latest Destiny 2 Forsaken trailer! Nikola Nikita Jeremic has once again collaborated with Bungie's music team on a track for the upcoming Warmind expansion. Starpoint Gemini Warlords soundtrack publisher, Sumthing Else Music Works, interviewed Nikita about his work and inspiration for Starpoint Gemini Warlords soundtrack. Check out the interview Nikola gave for Kate Remington's Music Respawn show where they talked about Starpoint Gemini Warlords soundtrack and much more! WARHAMMER 40K BATTLEFLEET GOTHIC ARMADA 2 COMING SOON!!! Tindalos Interactive's latest Warhammer 40k installment is coming soon this year. Nikola Nikita Jeremić and Doyle W Donehoo co-composed the soundtrack for this title. STARPOINT GEMINI WARLORDS SOUNDTRACK IS AVAILABLE!!! Nikola Nikita Jeremić's debut soundtrack for Starpoint Gemini Warlords is released by SUMTHING ELSE MUSIC WORKS today! A horrible accident happened at a remote research station. Months later, you take the role of a rescue team member who travels to the same quarantined island. The authorities believe that the accident claimed the lives of all members of the station. Now, a rescue beacon has been activated and with it, a chance that someone survived. However, as you land and being to explore, the same island will show it hides many deep and terrible secrets. 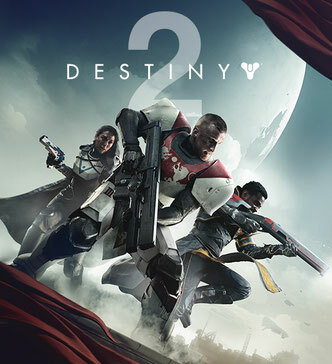 Bungie's latest installment of Destiny franchise is officially out, and Nikola Nikita Jeremić provided a few of the in-game music tracks. Nikola Nikita Jeremić was awarded with the "Best Score" award at 2nd Revolution Me Film Festival in New York for his "Tata" short film score. The game features a unique electronic score by Nikola Nikita Jeremić. The game features a unique ethnic and sound designed score by Nikola Nikita Jeremić. Take a look at how Starpoint Gemini Warlords soundtrack was made. Nikola Nikita Jeremić is taking you behind the scenes at his studio to show you his working process on the game's soundtrack. The sneak peak of Starpoint Gemini Warlords soundtrack, composed by Nikola Nikita Jeremić, is available for preview! The soundtrack will feature 69 minutes of music featuring 26 tracks of cinematic sci-fi music filled with orchestral and electronic tracks! Before the game comes out on May 23rd, take a look at the announcement trailer. 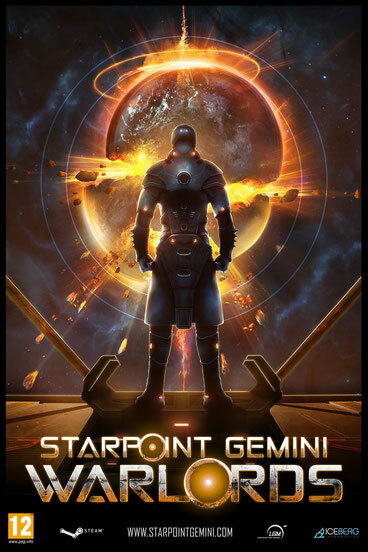 Starpoint Gemini Warlords, developed by Little Green Men Studio has entered beta stage, and it will be released on May 23rd!!! Original digital soundtrack, composed by Nikola Nikita Jeremić will be released with special edition of the game.The game will be available on Steam Store and Xbox Live Store! The content of this website is owned and copyrighted by Nikola Nikita Jeremić and Waveform Studios.